Letter to Mr Walker regarding Mrs Thomson, whom Cullen has visited personally; 'I find in general the marks of declining age'. He also remarks that he had been unable to call on Mrs MacEwan, and that he has recently suffered from influenza. 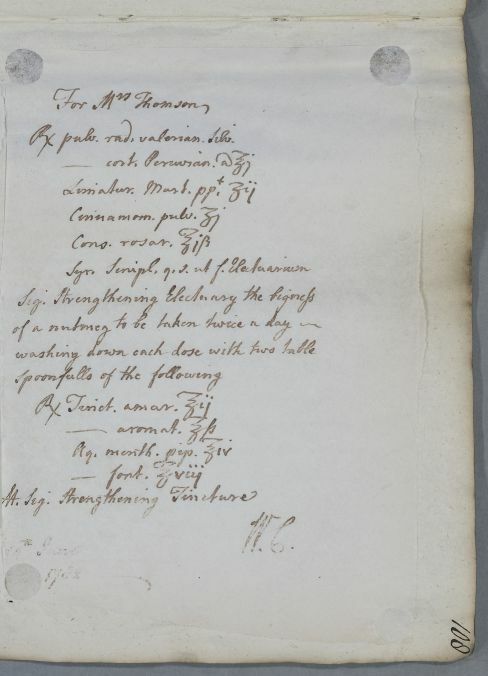 Probably to John Walker in Kirkcudbright, where he has treated other members of the Thomson family. 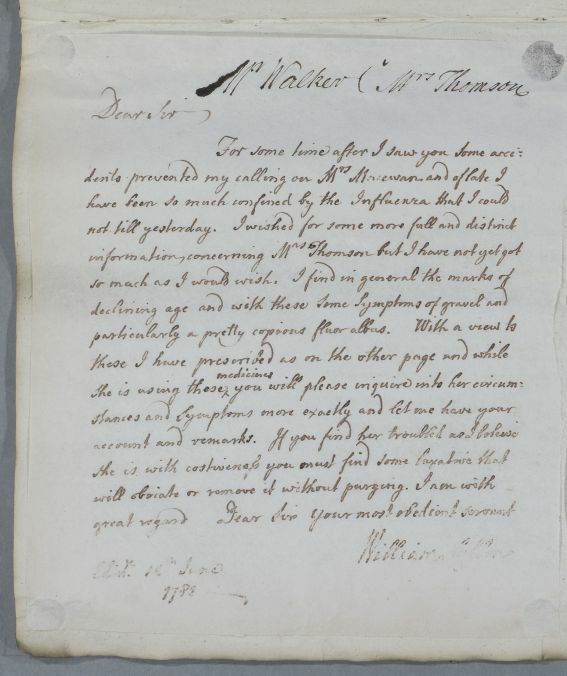 Summary Letter to Mr Walker regarding Mrs Thomson, whom Cullen has visited personally; 'I find in general the marks of declining age'. He also remarks that he had been unable to call on Mrs MacEwan, and that he has recently suffered from influenza. Probably to John Walker in Kirkcudbright, where he has treated other members of the Thomson family.